Although advanced LASIK technology is often considered first by people who wish to be free from glasses or contact lenses, in many cases a non-laser technology can provide similar or even better results than LASIK or other laser surgery. 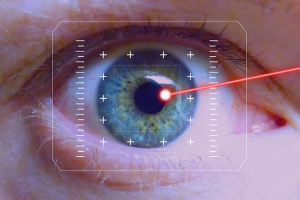 Laser technology made great advancements in the 1980s and by the mid 90, 's the new technology had quickly made LASIK eye surgery to become the most popular form of elective eye surgery for vision correction. During this time, many people discovered that LASIK and other laser eye surgery procedures were not available to them for various reasons. Some people had eye prescriptions that could not be corrected through LASIK. Some people had corneas that were either too thin. Keratoconus or other corneal diseases could make a person a poor candidate for LASIK surgery. Now, in the 21st century, non-laser technologies are making enormous strides in correcting vision. People that are 55 and over are quickly discovering the non-laser eye surgery can give them advantages that LASIK cannot. It is expected that these newer eye surgeries that do not require a laser will have as great an impact on vision treatment and eye care as LASIK did in the 1990s. Please call our vision correction counsellors to schedule an appointment. We can then discuss the options available and find which option might be best for you personally. Intacs is the brand name of a small plastic medical device approved by the FDA as a way to treat keratoconus.